My latest free Catholic resource is out on Today's Catholic Teacher website. 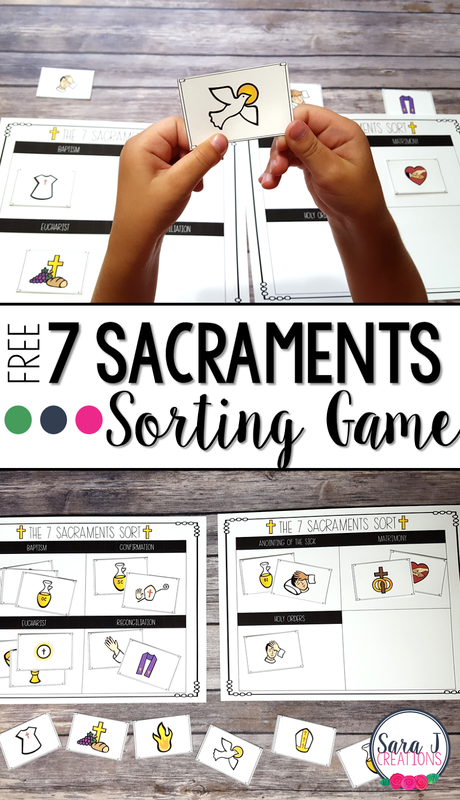 This is a FREE Seven Sacraments Sorting Game. It includes pictures to represent each sacrament and students have to correctly sort them. Sometimes it is hard to represent the Seven Sacraments (Baptism, Confirmation, Penance, Eucharist, Marriage, Holy Order and Anointing of the Sick) in just a picture but this makes a great introduction to the sacraments or could be used as a review activity.